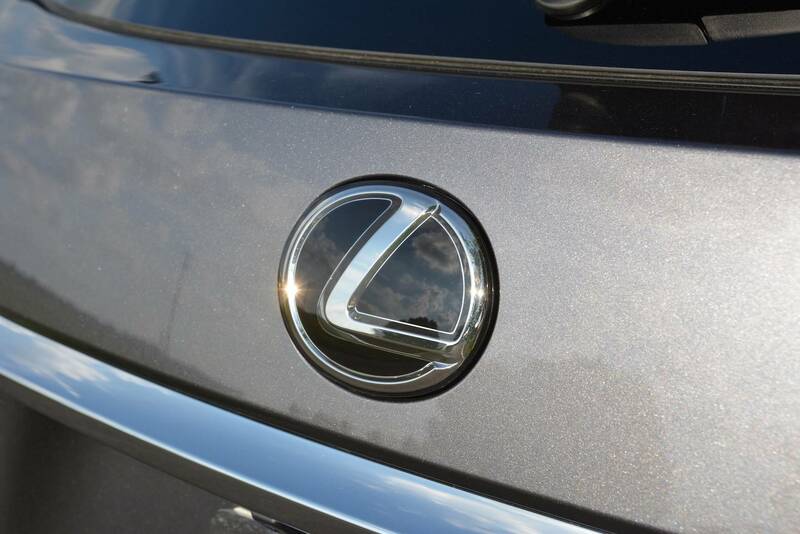 The RX350 has been a hugely successful product for Lexus since it was first introduced. 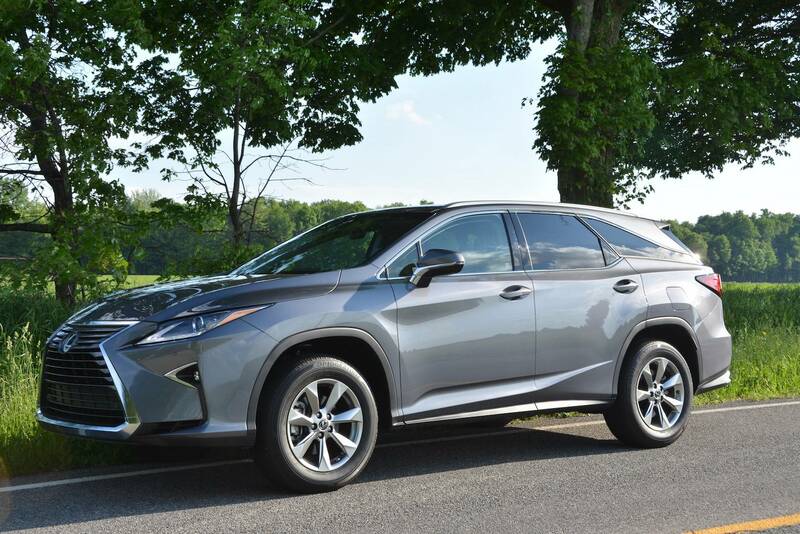 In fact, it’s been one of the best selling, if not the best selling, luxury SUV since the day it was introduced. 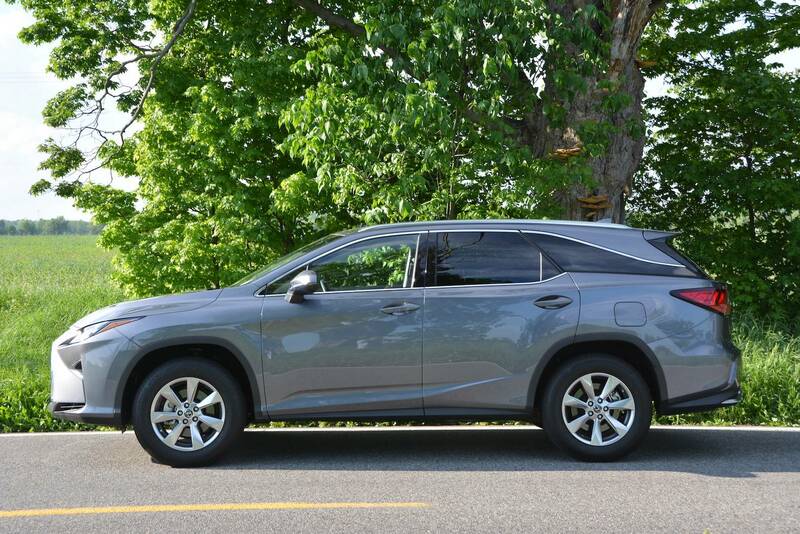 Now in it’s 4th generation, Lexus has introduced a new model to the line-up: the RX 350L. It’s that little “L” on the end that makes all the difference. 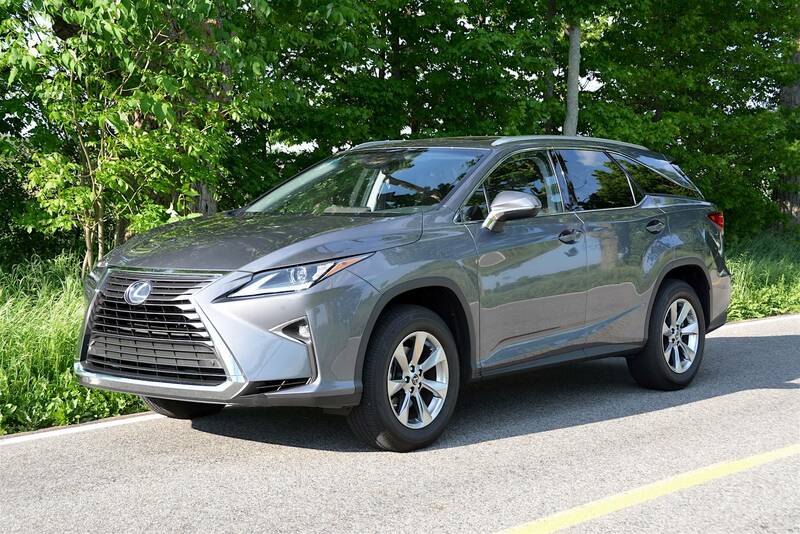 The L indicates that it has a third row of seats, which allows the RX 350L to carry seven passengers. 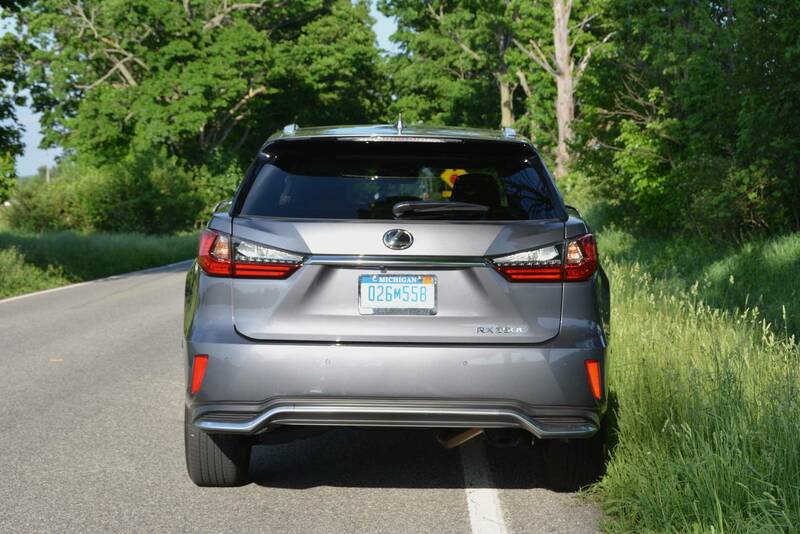 Lexus offered us some drive time in it recently so we decided to try it out. You may have seen the design on the road already. This current design was introduced in 2016 so it’s been on the market for a few years. 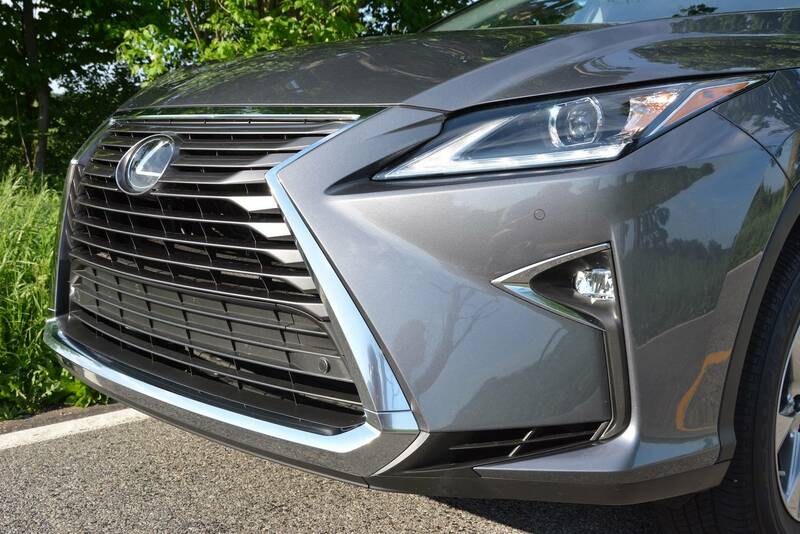 As expected, Lexus’ trademark grille dominates the front of the car; it’s thoughtfully designed grille slats providing enough design intricacy to make the grille work.The sharp lines around it lend it some aggressiveness that previous generations have lacked. The sides of the RX 350 series have some angular shapes stamped into it that not only break up what would otherwise be a flat slab-sided shape, but also lend some curvaciousness to it. Or at least hint at it. The C-pillars fall away from the roof down the belt line with a graceful curve to the squared end. The black and gray 20” wheels lend themselves to the design nicely. 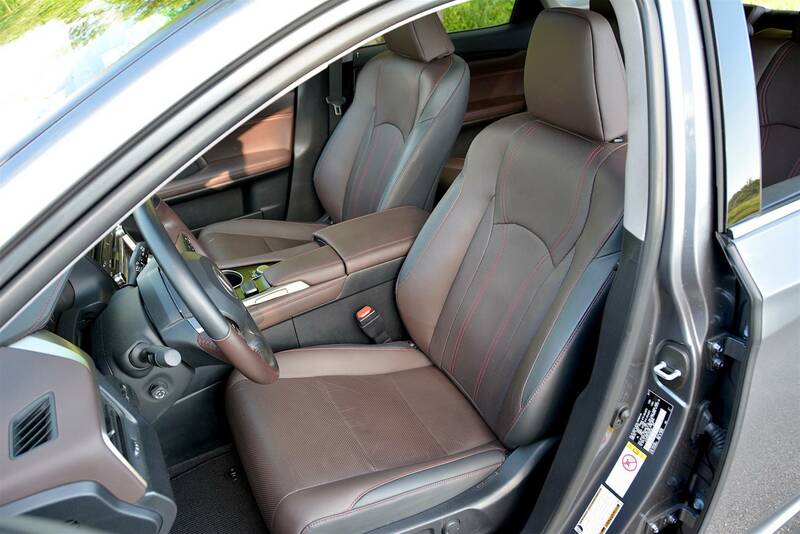 Inside, comfortable heated and ventilated leather seats await your tired keister. 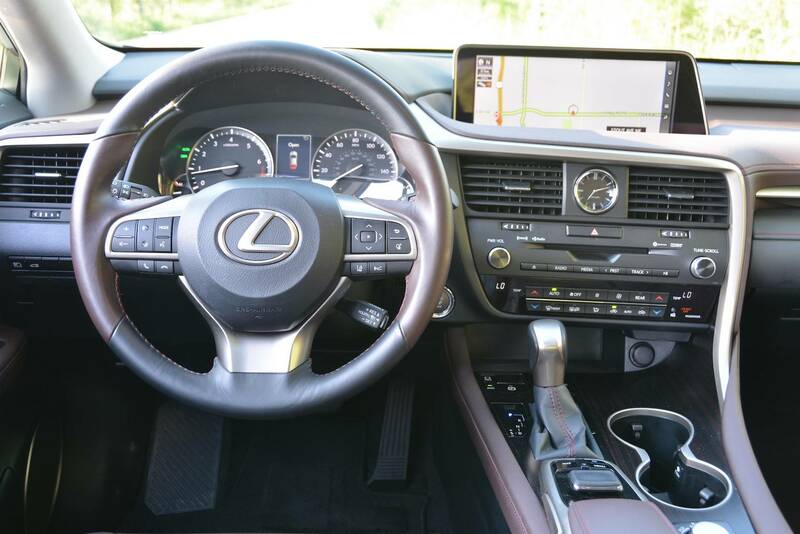 If you’ve ever spent even a quanta of time in a Lexus – any Lexus – you’ll feel right at home. 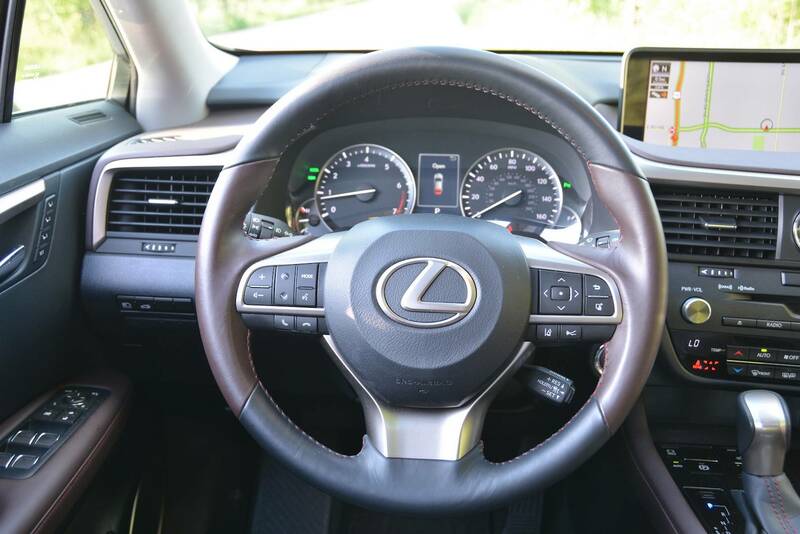 All the standard Lexus design cues are present, from the analog dash clock to the infotainment control mouse. 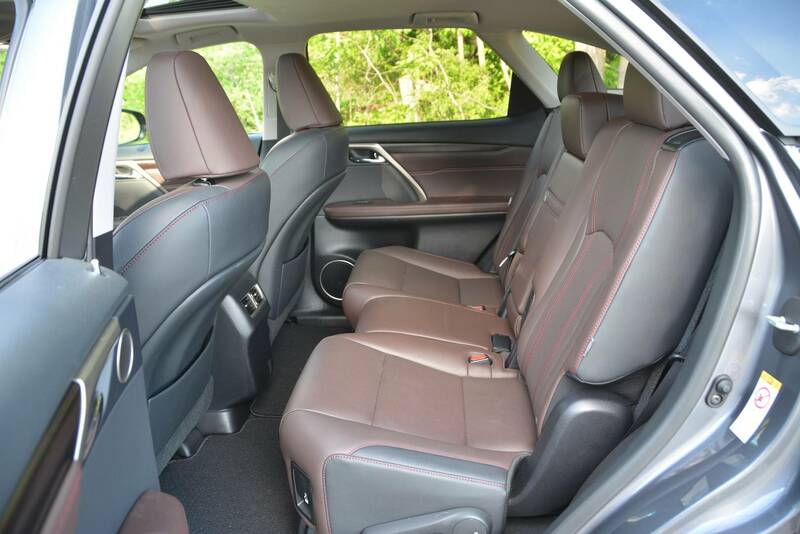 A large panoramic sunroof provides plenty of light and viewing pleasure for backseat passengers. 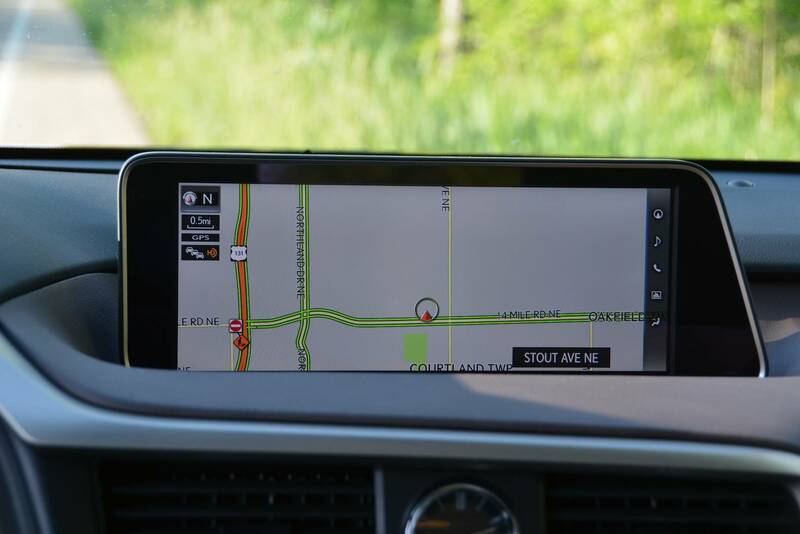 A large 12.3” infotainment display sits on the dash and is easy to read. 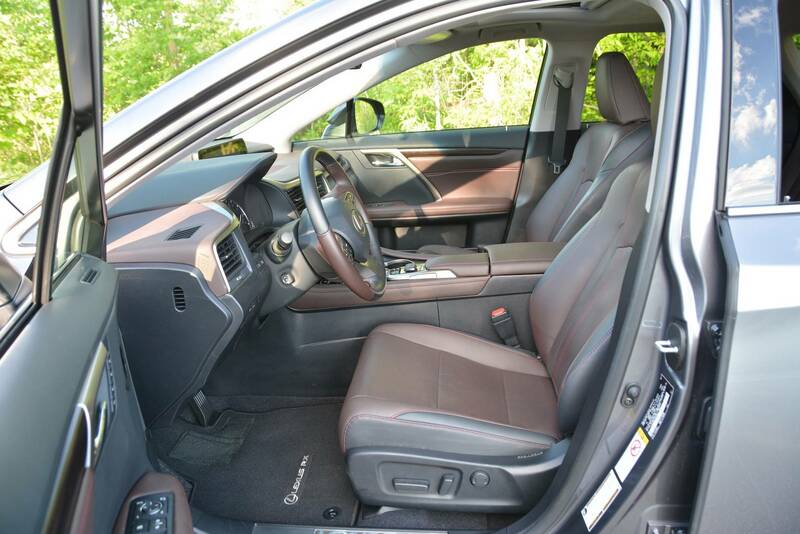 It’s a comfortable interior. 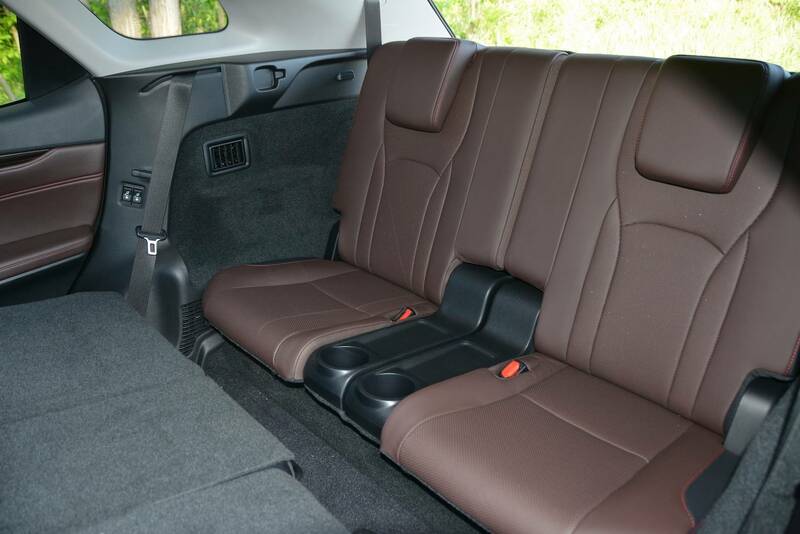 Of course, the big news is the new third row of seats tucked into the far back of the car. So how do they work? Well, if you have very small children they might do the trick, but otherwise they’re not very useful. Adults will certainly never fit back there. 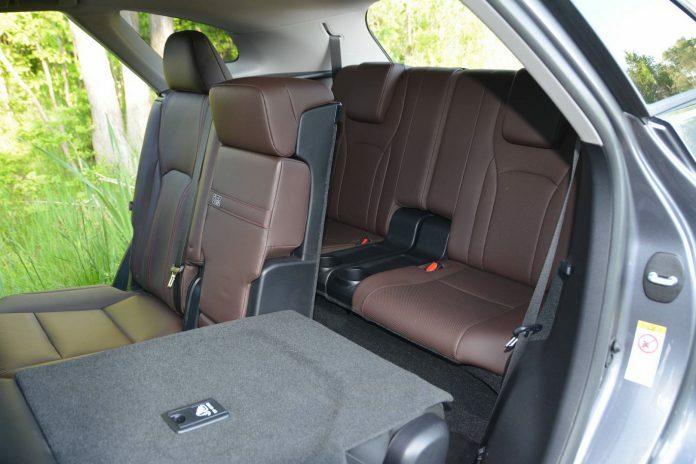 In order to make the third row work, the middle row of seats can slide forward and rearward to give access and make legroom for the third row. However, doing so provides only minimal legroom for the third row and compromises already limited legroom for middle-row passengers though. Again, small children only. The third row seats can electrically fold down into the floor with the push of a button and the middle row seatbacks can fold flat to align with the folded flat third row. 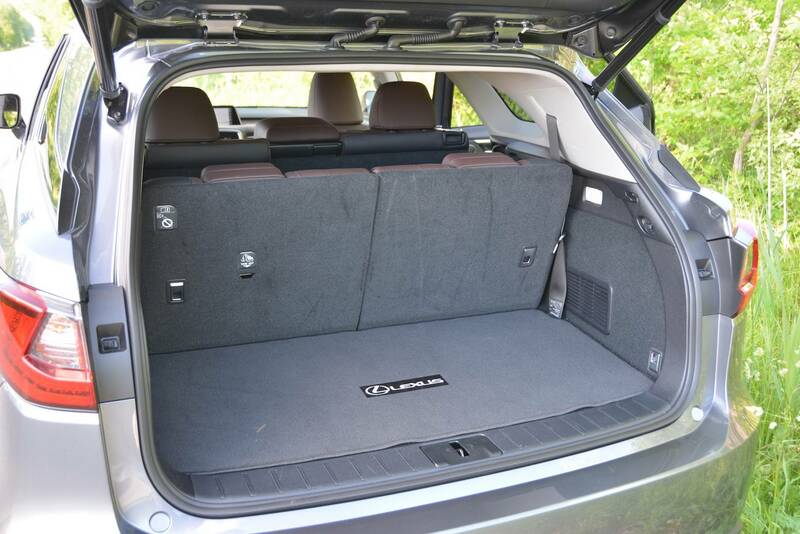 There’s quite a bit of cargo room with all the rear seats folded down. You could probably fit a large wheelbarrow in there. Don’t ask how I know. 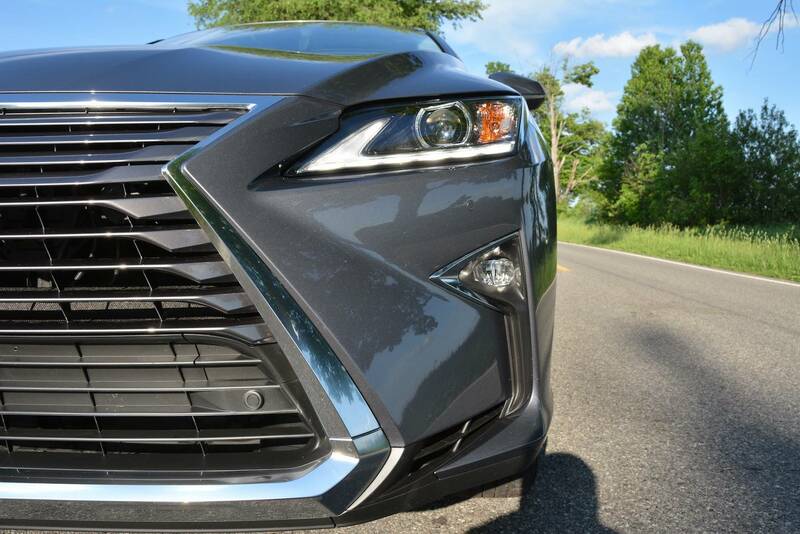 The RX 350L is powered by a naturally-aspirated Lexus 3.5L V6. Making 295 hp and 268 lb-ft of torque, it provides plenty of power yet idles so quietly and smoothly you can barely tell it’s running. 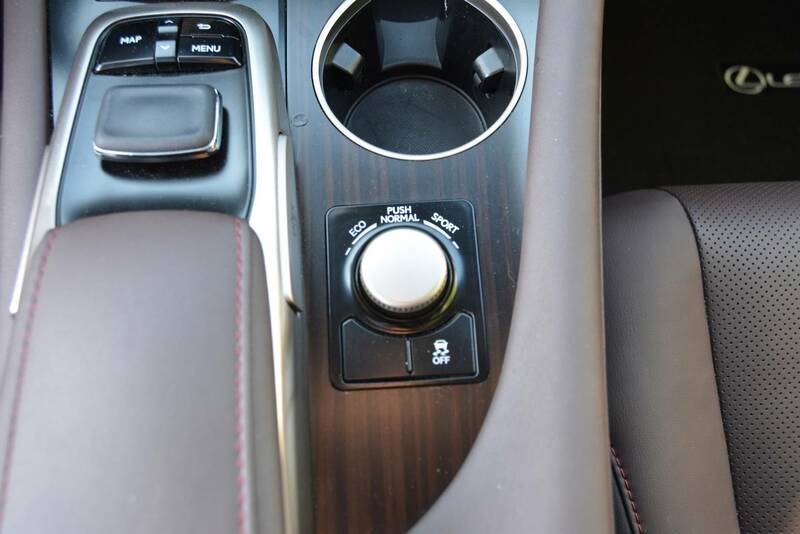 Coupled to an 8-speed automatic transmission, it provides more of that low-rev quietness and delivers reasonable fuel efficiency. We averaged slightly over 21 mpg in the large SUV. 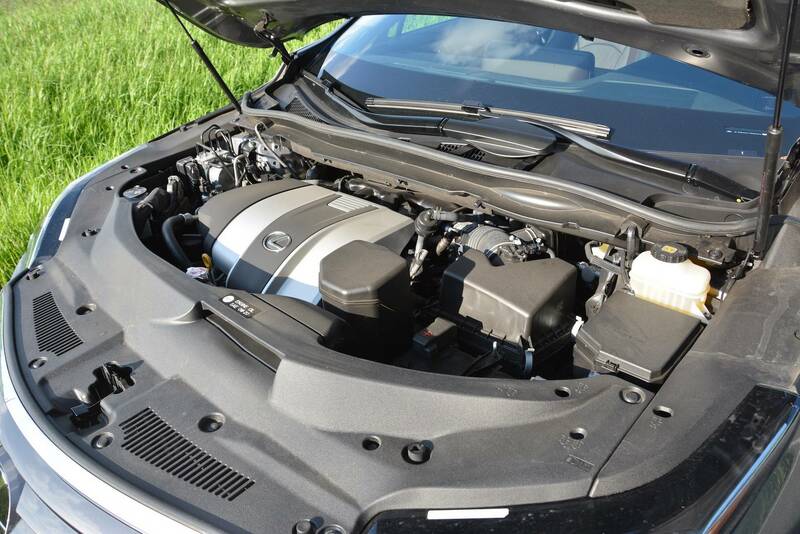 While several drivetrain iterations are available, including AWD, our test car was fitted with front-wheel drive. 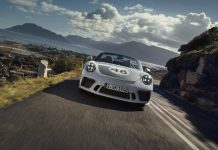 We found it would frequently squeal the front tires without trying, which either speaks very well for the engine or very poorly for the tires. Given that we never felt caught out in a passing situation, our money is on the tires. The ride is soft and cushy. 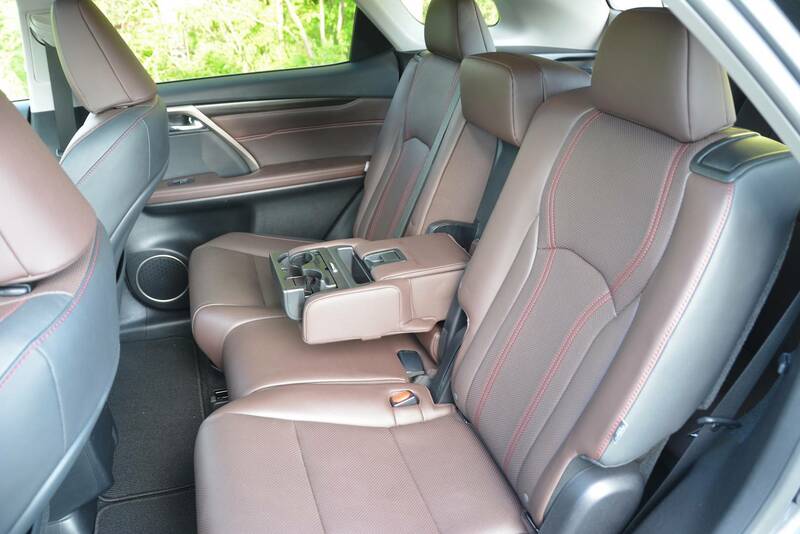 There’s not much sport to this ride – it’s all about the luxury feel. As a result, bumps and broken pavement come through only slightly as the soft suspension absorbs most of the impact. There’s also quite a bit of nose dive when braking and rear squat when accelerating. 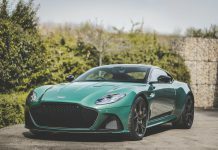 Despite having a slightly soft, cushy ride, the suspension firms up rather nicely through sweeping curves and around tighter corners. The RX leans a little through the corner, but the suspension firms up after leaning a bit. In fact, after a few corners you develop a bit of confidence in it’s abilities. 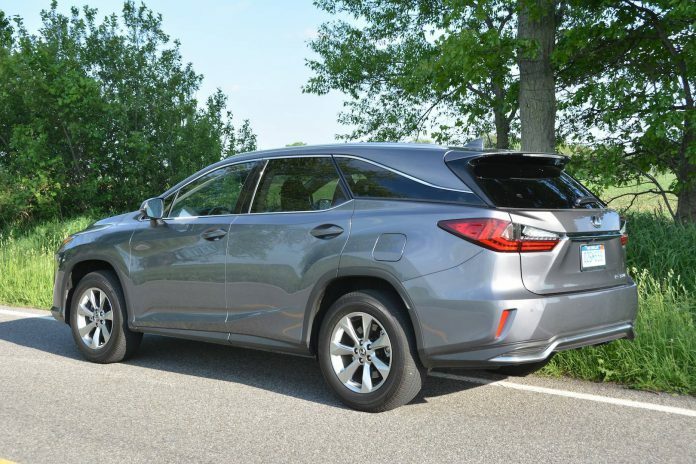 The steering is intuitive, but being a large, long wheelbase car, turning into tight parking spots can require a little extra attention. The various cross-traffic sensors and proximity sensors alert you as you squeeze into and out of tight situation and cameras help you see out. The brakes are 12.9” in front and 13.3” in back. They confidently and quickly stop the 4,222 lb vehicle. They don’t feel squishy or grabby but positive and allow excellent modulation. 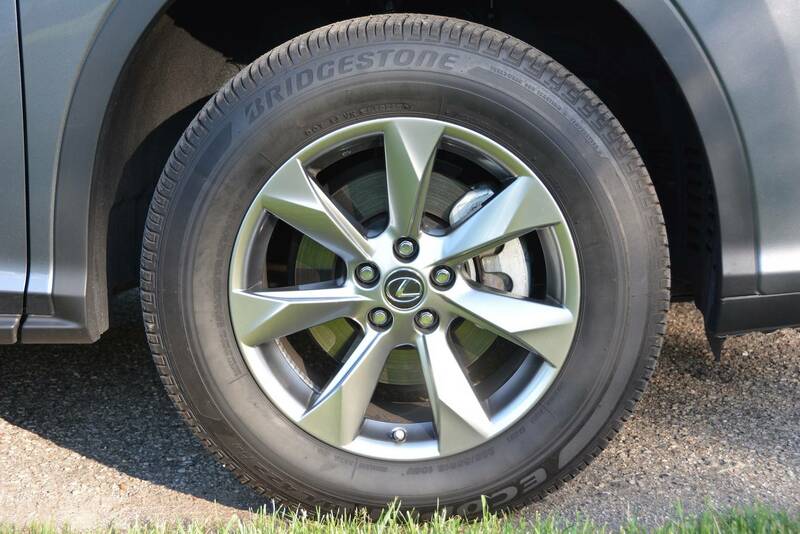 The 20” wheels that they hide behind are attractive and complement the car’s design. If you’ve driven and liked previous RX 350’s, you’ll probably like this one too. 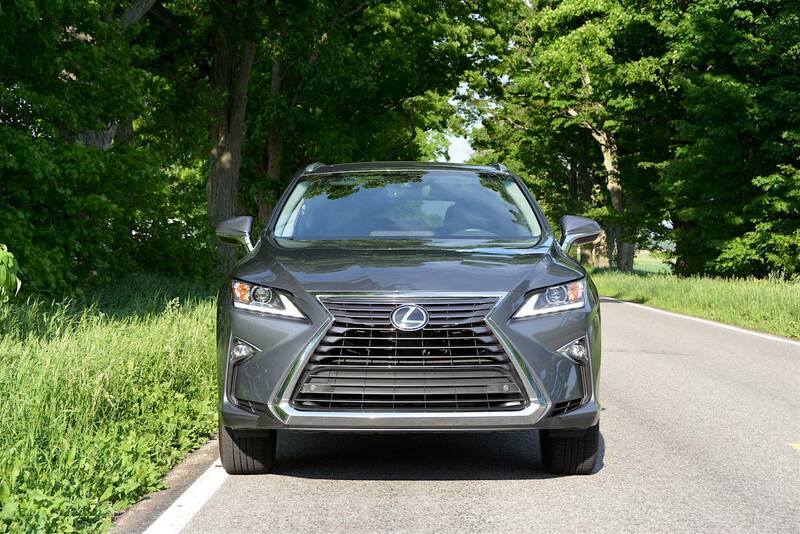 If you’ve never driven an RX 350 but are looking for a lux SUV with extra seating for children, you may also find that the RX 350L meets your needs. 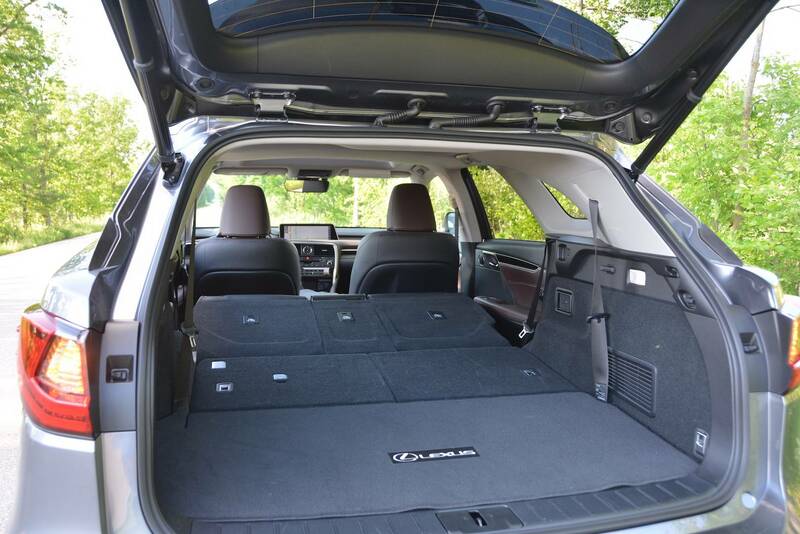 Now with a third row of foldable seats, the new RX 350 is more capable than ever.